Chemical light sticks can be an important part of your emergency preparations. Low cost, no batteries to wear out, change or leak and are basically ready on demand. They are, however, only a one time use so I have never found much use for them as I usually have a flashlight on hand. This is also why I was able to find a light stick that had been expired for over 13 years in my stash of supplies. Consider though, if you are only in need of a low level of light and don't want to waste your only set of flashlight batteries, or if there's a deep dark pit that for some reason you need to check the depth of, consider using a light stick instead of a flashlight. Another practical use for light sticks is for children. If my kids are given a flashlight the batteries will likely be quickly wasted as they will leave it on and forget about it. 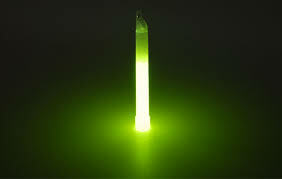 Also, the soft glow of a colored light stick can make a power outage or other emergency less scary to them if they have their own to play with. Although this 13 year old light stick in the video lit up brightly at first after a few hours it quickly became very dim.